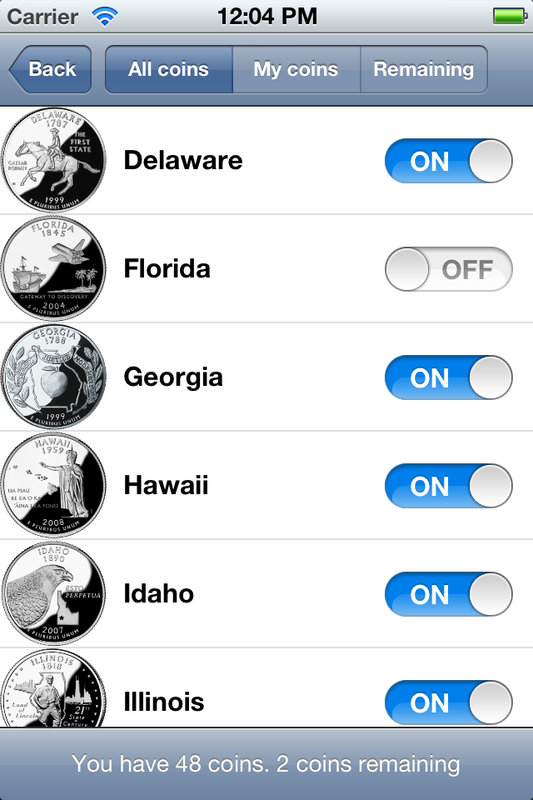 '50 State Coins' is free iPhone app for those who is collecting coins (numismatists). 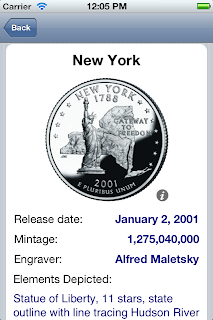 Currently we are supporting 3 collections of coins - '50 State Quarters', 'District of Columbia and United States Territories Quarters' and 'America the Beautiful Quarters'. 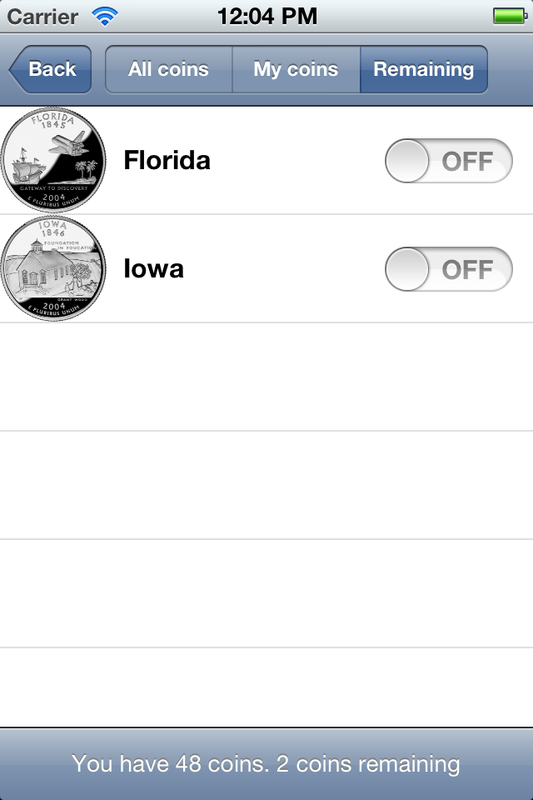 Even despite this application just released on App Store we're working on updates to it. We have plans to add more collections to our application. Also we are going to create version for Android as well! Also in future version we have plans for improving user interface. So follow our updates! If you have any question or comments please go to our 'Contact' form located here. 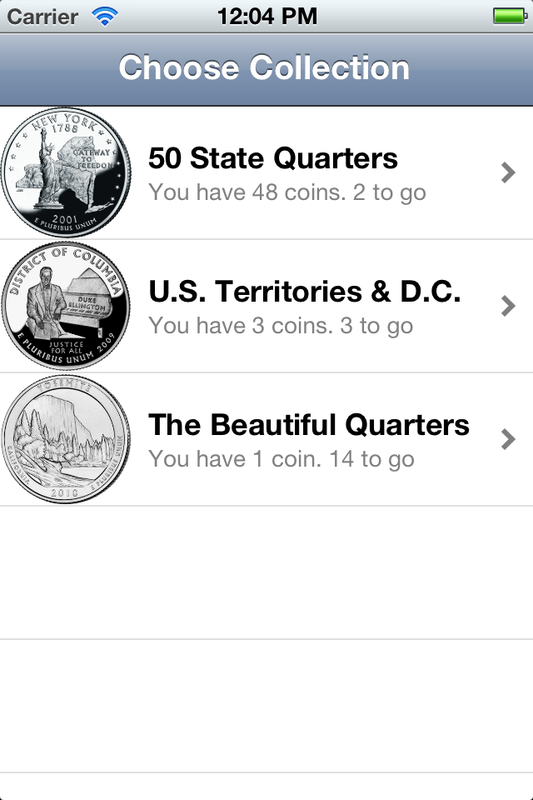 Why did you abandon you 50 state quarters app?